The notebook has 3 different sections, each with a different coloured printed paper subtly printed with images of the cover artwork, New Heights. There are also 3 different ribbon page markers, a co-ordinating book mark, and a card pocket hidden away within the back cover. 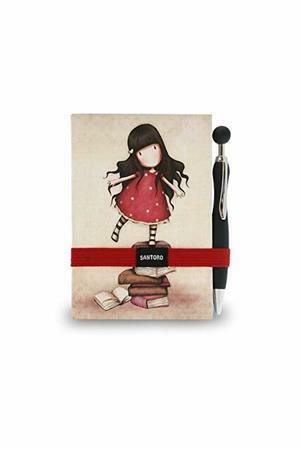 The pen is coupled up to the journal with an elasticated decorative band, which also keeps the journal closed away from prying eyes ensuring that secret notes and thoughts can be treasured.